A small beach with plenty of dunes, Cooks Brook has nice views, soft sand, and small waves making it a desirable place to spend the day . 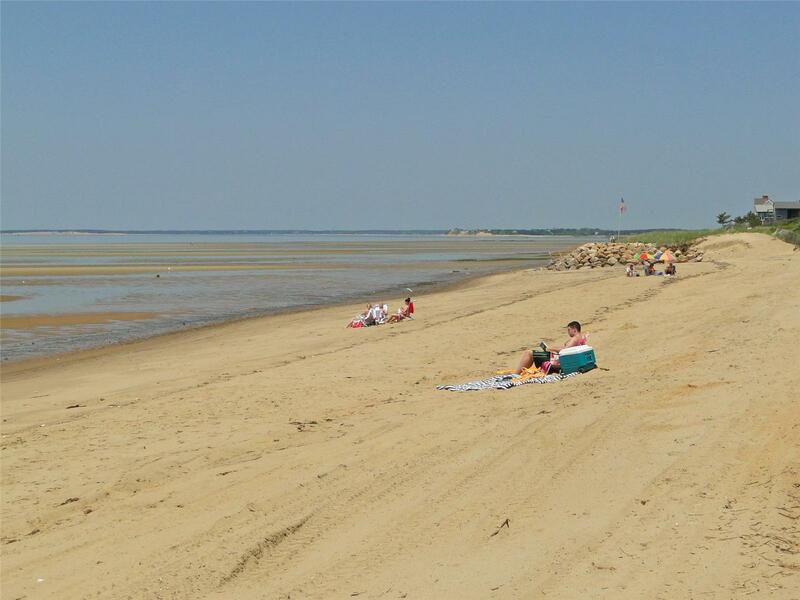 We can't remember our favorite beach's name, but it is the one at the end of the street that our cottage was on [Eastham Vacation Rental ID 4035]. It is on the Bay side of the Cape, so it is tidal and has varying seascapes, marine life. depths and vistas depending on the tide levels which were fun to watch. It's very close to the cottages, so the walk there is short, and there's no cost to pedestrians. The other beach that we liked was the Coast Guard beach with surf, seals, and ocean wild life. This is the larger of the two beaches and charges for parking. The sunsets at Cooks Brook Beach are breath-taking. Proximity to house Eastham Vacation Rental ID 4595 and great swimming at high tide and walking out into the bay at low tide (see pic). Not crowded. This little bay beach is a hidden gem -- it may not have the dramatic dunes, but it's better for swimming and perfect for families. Stunning location, plenty of public parking and great for young families. It is amazing to walk on the bottom of the ocean. You can find all sorts of creatures that live partially buried in the sand and are exposed only when the tide is low. The horizon, where the ocean has retreated, makes it seem, in the fantastical (and primitive) part of your mind, like the world is truly flat, and "out there" is where monsters be. When the tide is in, this beach is a perfect place those who enjoy a quiet swim. We love this beach because of the sand and the quietness of it. Public but has a private feeling. Low tide....you can walk for miles! Quaint beach with warm waters. It was our favorite because it was closest and water was warm. The flats at low tide were fantastic for our young daughter and the fact that a truck came to sell coffee beverages to the adults was amazing. Roomy beach! Never rowdy so it was perfect for my son. He made a lot of new friends! We were so happy with this beach we didn't go anywhere else. Well we went and looked at the other beaches but always stayed the day at this one! 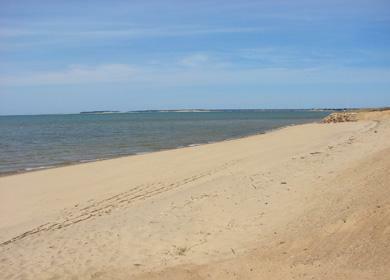 This is the closest Bay side beach Eastham Vacation Rental ID 15720. It is perfect. Good view, clean sand. Fills quickly as do other beaches in the summer :) Our youngest actually preferred the Great Pond at Wiley Park. It is a freshwater kettle pond. Smaller beach but very clean, playground and no waves for the younger children. You can't go wrong with either location.